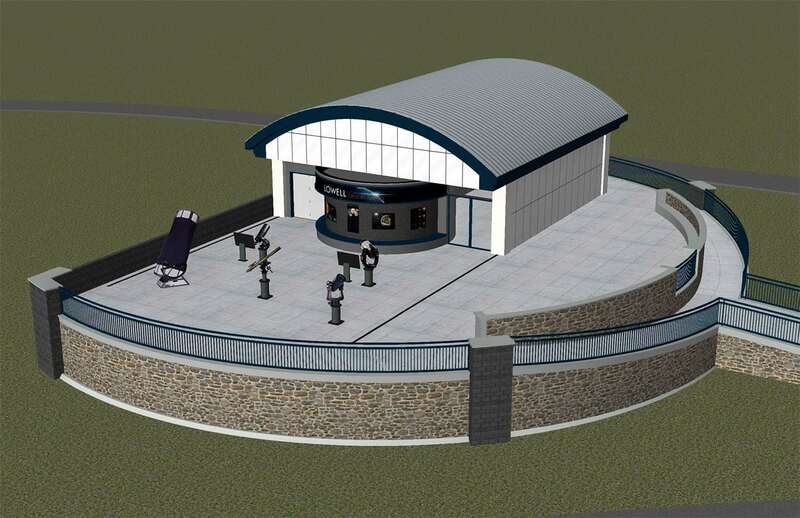 Lowell Observatory in Flagstaff has announced plans to create a new observation deck to help with its increasing number of visitors each night. Molly Baker, communications manager at Lowell, said the Giovale Open Deck Observatory project is “only the beginning of an exciting five-year-long expansion for Lowell Observatory.” The expansion is slated to include more room for exhibits, a larger visitors center and even a theater. Baker shared additional details on the new observation deck. Why is an additional deck needed at the observatory? Lowell Observatory has been attracting 100,000 visitors for the last several years, and our original Mars Hill facility simply can't handle our average nightly admission anymore. The Giovale Open Deck Observatory will provide more telescopes for more guests without the long lines and wait time, and also without the hassle of pulling the telescopes out every night, as the roof housing them will roll off and they can stay stationary. How many additional telescopes will the observatory house? The GODO will house five telescopes, all of which provide a different view for the observer. It was important to Lowell Observatory that these new telescopes be of the highest technology, as it is our goal to be a premier private observatory in the nation and internationally. When is the Giovale Open Deck Observatory expected to open to visitors? Construction is scheduled to begin this spring. As long as everything goes smoothly, we expect to open the GODO in a members-only sneak peek, and then to the general public, in fall of 2018. The observatory has created a "Telescope Wish List." What is needed, and how can people donate? While the construction of the deck is fully funded by the generosity of the Giovales, we are still searching for funding of the large cost of the telescopes. These telescopes add up to a large sum, as they are the best in the industry. As a nonprofit, Lowell Observatory funds our public program and science research purely on the generosity of our members, donors and grants. This is all possible because of people, like the Giovales, who believe in the mission of Lowell Observatory: to bring pure science research to the public, making discovery accessible to everyone. People who wish to donate can do so by visiting our website or contacting our development manager, Lisa Actor, at [email protected].